This was my final painting for Nancy Franke's workshop. It is painted on a 16 x 20 x 2" canvas. One thing she mentioned several times was to look for triangles, X's and Z's in bodies and in compostion. More interesting. This little guy has lots of those going on and I think that was the main reason I was drawn to this photograph. 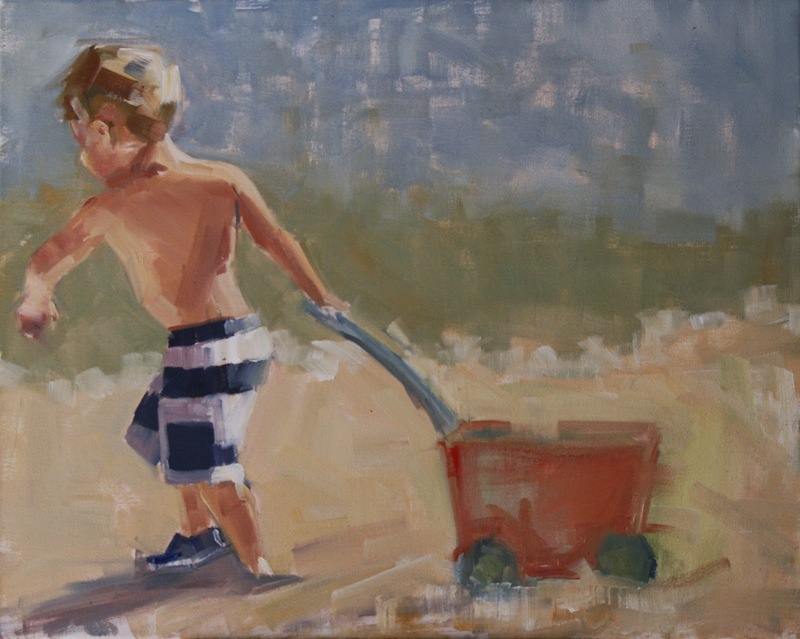 I am personally drawn to Nancy's work because of her color palette, her loose brush work, and subject matter. She has more energy and light than almost anyone I know and that shines through in her work. I am so happy to have had this opportunity to learn from her again. She's the bomb. This one is my fav from the workshop! You really did capture the weight of the pull that little fella was hauling after himself. Colors are perfect too. Again - thanks for sharing. Looking at the photo and all those happy and YOUNGER faces! I would be the great-grandmother of the group. 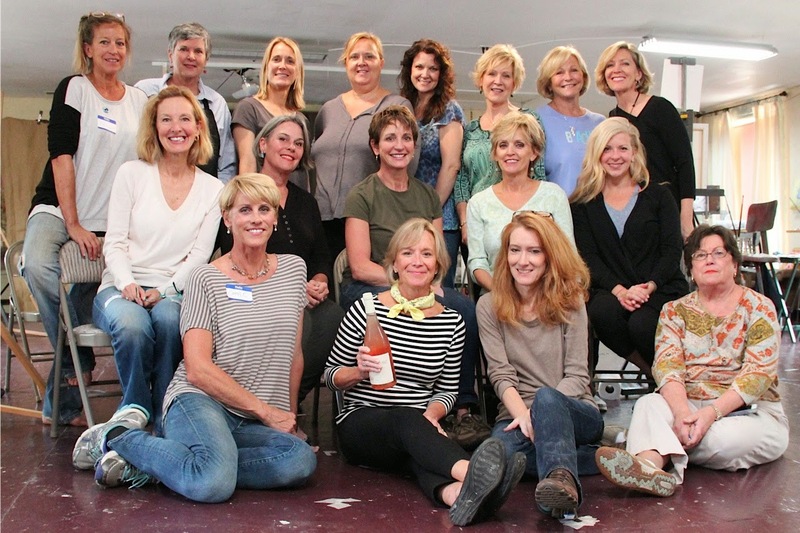 Lucky you to be painting with Nancy and her amazing energy! Your work is awesome as usual! Le tableau de ce joli petit garçon qui joue dans le sable est tellement charmant. Ce garçonnet est absorbé par le plaisir de jouer. Je suis certaine que vous avez passé un excellent moment de peinture en compagnie de ce groupe... Vous semblez toutes radieuses. Great posts about the workshop Carol :) You described Nancy so well... she has a magnetic personality doesn't she? And your paintings are wonderful. Thanks girls! You words of encouragement mean a lot! Little boys are fabulous; they always have lots going on. Looks like you had a great group too, Carol!